If you are a home owner wanting to wow any guest who may enter your home, then ceiling domes from Castle Design are the way to do this. Interior ceiling domes invoke memories of Greek style mansions and classic style Georgian homes for the modern home owner. Anyone who enters a room with a ceiling dome will take note. Whether you are building a new home or restoring an old house with new look and feel a ceiling dome should be of the same architectural style as the rest of the house. Begin your quest by looking for a dome that has detail work comparable to detail work that will be or is already established in the home. Creating the perfect room setting involves a special detail. An architectural ceiling dome adds that detail with a unique look and style for which today's discerning home and business owner is looking. Add charm and drama to your room with lighting. Combine a recessed lighting cove with your dome for a decorative element for accent or task lighting. We have ceiling domes available from 20 inches to 10 feet, with a wide variety of sizes in between. They are also available in a wide variety of designs from simple beaded trim, acanthus leaf, egg and dart, and several other beautiful designs. Prime and paint, seal and stain, or faux finish prior to installation in the color of your choice. 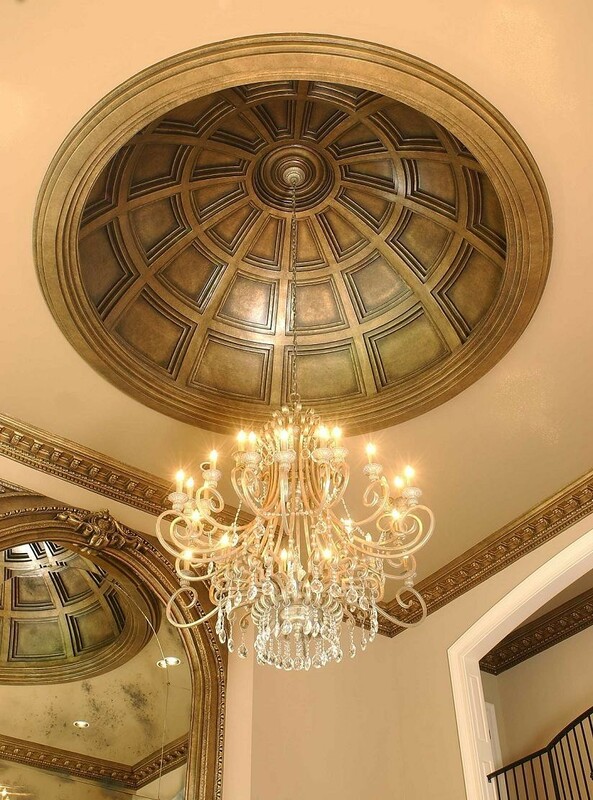 If you are trying to envision how our ceiling domes will look in your home, please visit our portfolio. We are confident that you will find a design that would work beautifully in your foyer or open space. Contact us if you have any questions or to place an order. We look forward to creating your masterpiece.